In a situation where you or a loved one is suspected and arrested it can be an incredibly stressful predicament for everyone involved. It doesn’t just prohibit you from going along with your every day lifestyle, it can make it impossible to work and be with your family. Don’t let being jailed get in the way of living your life, Indiana Bail Bonds can provide 24/7 bail services for you if you get in touch with our bail bondsman in Bright, IN. We are a bail bond business who is certified to provide expert bail bonds and compassion to anyone who requires our assistance. No matter what you have been accused of, our bondsman will treat you with the respect that you deserve and procure your release in a timely fashion. At Indiana Bail Bonds we recognize that this type of situation can be overwhelming for you and your loved ones, so our bail bond agents will go above and beyond guaranteeing that we will obtain your release right away. Our company is open 24/7 and we make the process a lot smoother by offering to drive to you to pay your bail bond. Hiring an experienced and kind bondsman is necessary in times where you need to be discharged from jail fast. From leading you through the bail bond process to addressing your questions, we will be there with you each step of the way. We will have your back through this whole process, making sure you know what to anticipate and being there for you when you really need us. Don’t hesitate to contact Indiana Bail Bonds right now at 317-423-9300 if you need the help of a dependable and qualified bail bondsman in Bright, IN for bail services. 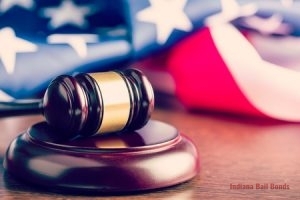 At Indiana Bail Bonds we are select to helping our customers no matter what type of charge they have, so we offer a range of bail bond services that are sure to procure their release immediately. We can supply bail bonds service for several charges like warrants, theft, and domestic violence. These are the bail bond services we provide for our customers. Arrest Warrants When you have a warrant for your arrest and need fast assistance, call our bail bond agents to assist you in getting your arrest cleared. Bench Warrants When you or a loved one has been issued with a bench warrant, contact our bail bond agents now for quick and dependable service. Domestic Violence Bail Bonds Have you or a loved one been charged with domestic violence? Contact our bail bondsman for domestic violence bail. Probation Violation Bail If you or a loved one is in violation of their probation and requires bail bonds services, we will help you. 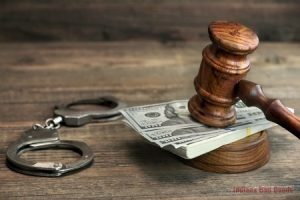 Theft Charge Bail From felony to misdemeanor theft, if you have been charged with theft, our bail agents can help get you released with theft bail bonds. Our skilled and qualified staff is ready to help, so dial 317-423-9300 to speak to a bail bondsman in Bright, IN right away. 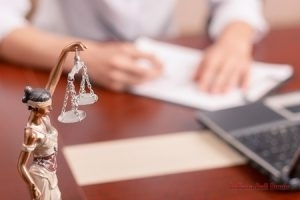 With a charge for a felony, you will require a specific type of bail bond and also a certified bondsman to assist you. At our bail company, our bail agents can help you with felony bail bond services, no matter what type of crime you have been suspected of. We know how scary this can be, but our bail agents will walk you through the entire process and help you to better comprehend the process. Call us at 317-423-9300 to receive your felony bail bonds through a professional bail bondsman in Bright, IN. While a misdemeanor charge isn’t the most severe thing you can be accused of, it can still wind you up in custody. To guarantee you get removed from custody as soon as possible and on with your day to day life, you can contact our bail bondsman in Bright, IN for quick and reliable misdemeanor bail bonds. Getting arrested is overwhelming and needs the help of a professional, and with the assistance of our knowledgeable bail bond agents, we can make this circumstance a lot easier for you. Dial 317-423-9300 if you need misdemeanor bail bonds and our bail company will be glad to procure your release from custody immediately. There are times when the only type of bail that can obtain your release from custody is a surety bond.In some cases, surety bail is the only type of bail you can use to be released from jail. A magistrate will advise a surety bail for a variety of reasons, but it can be quite a bit of money. When you want assistance getting yourself or someone you love released from custody with surety bails bonds, the bail bondsman at our bail bonds company are available to assist you. If you want our bail bondsman in Bright, IN to give you extra details about our surety bail bond process, feel free to call our staff at 317-423-9300 for more information. 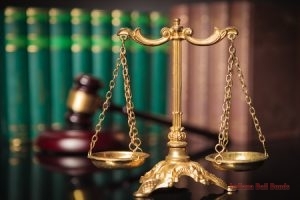 Depending on what offense an individual has been charged with and where it was reportedly happened will be a huge component for what kind of bail can be utilized. Individuals who are responsible for state or federal offenses will need to be released from custody using federal and state bail bonds. When you need a state or federal bail bond to obtain your release, Indiana Bail Bonds is here for you. Federal Bonds If you have a federal charge and need to be released from jail, call our bail company for federal bail. State Bonds If you want state bail services, give our bail bondsman a call today! Get released from jail fast if you contact one of our bail bondsman in Bright, IN at 317-423-9300 for our federal and state bail services. Regardless if you have been charged with possession of unlawful substances or you were charged with a DUI, the bail bondsman at our bail bonds company are able to offer you with drug and DUI bail bonds service. On top of bail bonds service for alcohol and drug associated offenses, we also provide weapons violation bail bonds for individuals who have been charged with a weapons offense. Drug Charge Bail Bonds Contact our bail company anytime for drug arrest bail bonds and get released from jail fast. DUI Bail Bonds If you need DUI bail to get released from jail, contact our bail bond agents. 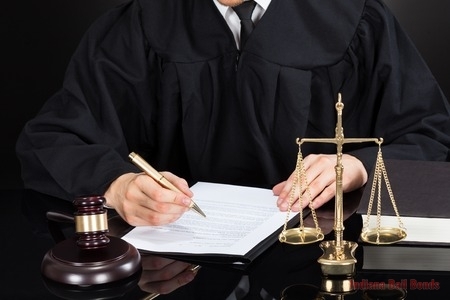 Weapons Violation Bail Bonds Although a weapons offense is a big charge, our bail bondsman will be sure to help procure your release with our bail bonds service. No matter the charge, our bail bondsman in Bright, IN are here to help, so give our bail bond company a call at 317-423-9300 for our licensed help. Being arrested is never convenient, but there will be instances when something happens and you will have to be released from custody because of an emergency. In those instances, you should get a bail bondsman in Bright, IN who will help you secure your release from custody right away. Our bail bond agents offer emergency bail bonds service, ensuring customers get out of jail immediately and without any problems. It doesn’t matter what type of circumstance you are in or the charge, our bail bondsman are available to you 24-hours a day, seven days a week. For emergency bail bonds, just call our bail bond agents in Bright, IN at 317-423-9300 for help.